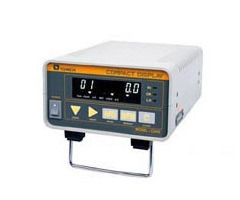 Torque measured by strain gauge sensor is displayed, and "OK" or "NG" can be judged. Display for torque measured by strain gauge sensor. Digital display for strain gauge sensors like FP, FG, TCF, etc. 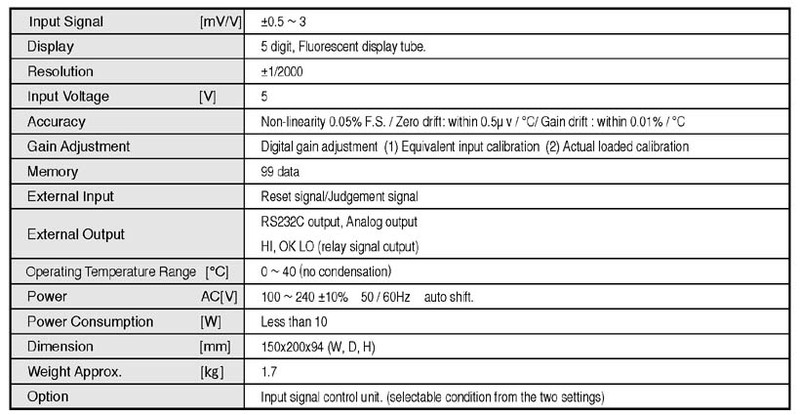 Calibration of sensor can be executed by equivalent input or actual load methods. Up to 99 data can be stored. Data can be down loaded with standard RS232C output to PC or printer. Power source from AC100V - 240V is available. Please specify the unit, torque or force when ordering.